I think it’s safe to say we love birthdays this week! We have had a great eight days celebrating three birthdays and this week was no exception. 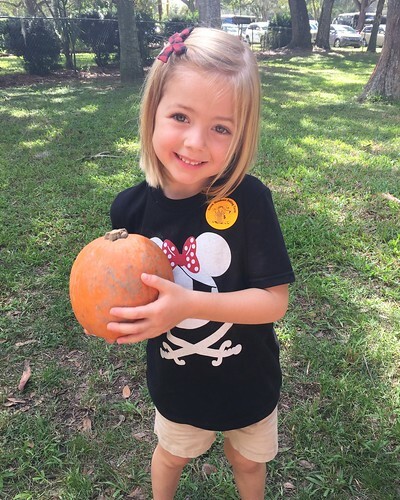 Kenley turned five on Wednesday. Yes, FIVE! We are looking forward to one more birthday next week when it’s time to celebrate C-man! On Kenley’s birthday, the kids went on their first field trip of the year! This was also Crosby’s first field trip. Greg and I tagged along to make it a family affair. We drove separately to enjoy some quiet time together while the kids rode the bus. Between Kenley turning five and Crosby being old enough to ride the bus to his first field trip, I was on the verge of tears all day. 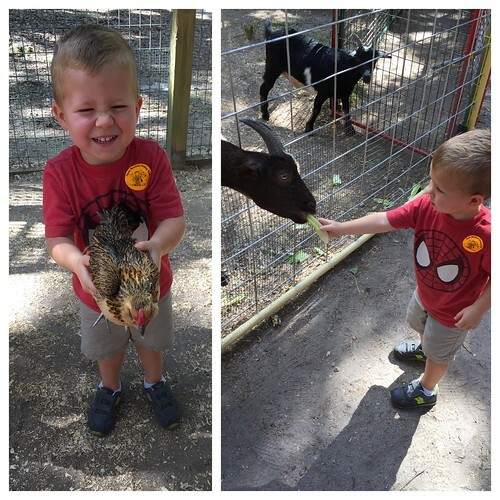 We went to Green Meadows Petting Farm and had so much fun! I have so many pictures to share, so I will share more next week. Kenley’s only request for her birthday this year was a cash register, so after some research, I decided on the Learning Resources Pretend & Play Teaching Cash Register. This thing is awesome! I really had no idea what all it did, but it is very educational. There are some great features like quizzes on addition, subtraction, and coin recognition. I think both kids will really get a lot out of this purchase, which makes this mama happy! We tried something new this week! Hello Fresh. A friend sent us a free box so we did the family plan this week and had two meals. The first meal was quickest mac & cheese with spinach, tomato, and cheesy breadcrumbs and our second meal was mega meatball marinara with creamy polenta, zucchini, and mozzarella cheese. Both meals were really good and I really loved getting something new that I didn’t have to think about planning, shopping, or prepping.